CT: Great to meet you Mel! Tell me about your background pre-launching Unicorn Cosmetics? MB: Hi Cameron, gosh I had a background far away from cosmetics, I worked for the NHS as a data analyst, I did that for 10 years before this and had no contacts in the beauty industry at all, just your normal girl. But I have always had a very creative brain and was itching for a long time to find my niche and something I could be passionate about. I dabbled in a few things before UC as a hobby, one was selling statement jewellery and it just naturally evolved. 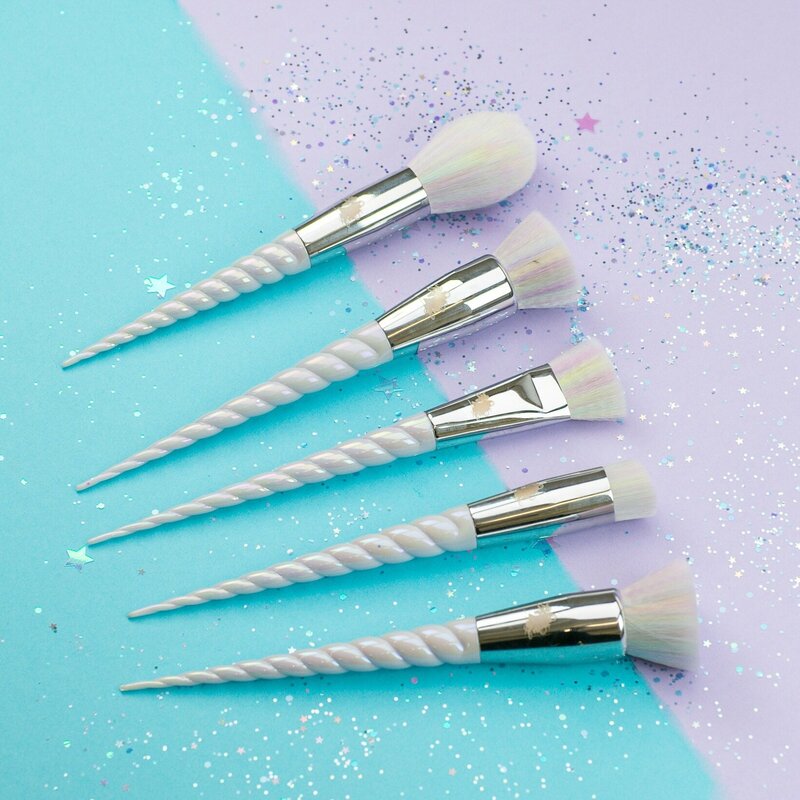 CT: How did you come up with the idea of Unicorn Cosmetics, what was the inspiration behind the brand and the now famous brushes? MB: For me I take the word Unicorn not in its literal sense, but more in the meaning behind it. A Unicorn is unique and special and this is what my brand is all about, breaking beauty boundaries. I can’t say I had this amazing backstory of when I thought of the idea for Unicorn brushes, I just as I said have a VERY active brain and constantly think of ideas, but I knew instantly with this one I was on to something special although I never realised how big it would be, that was a complete dream. CT: For those who haven’t heard of Unicorn Cosmetics, how would you describe the brand? MB: Fun, Sassy + releasing your inner creativity from within you. We try and do things no other brand can or will try. We come up with ideas and then put a twist on them to make them magical. CT: You have a small team, is this something that was important when building your business? MB: Yes, even more important now 2 years in. I have learned that not everyone wants the best for my business, so I have to find those as passionate as I am. However, I now have an absolutely amazing team around me that is still very small but who have 100 percent belief in the business like I do and can help me take it forward with the same desire and passion that my company needs. We are like family and its really lovely and rare. CT: What makes Unicorn Cosmetics different to other brands on the market? MB: I think UC is very relatable, my followers have watched my journey and I have tried to keep that element still there. We often share future designs and let our followers help in the design process. At the beginning I always tried to treat my social media as a diary / journal to my project which was the unicorn brushes at that time, and I’m trying to keep that element alive and not become a corporate company that is entirely unrelatable, couple that with crazy unique products that the world hasn’t seen before and I think you have a good formula. CT: Does Unicorn Cosmetics have a best-selling product & what’s your favourite one? MB: Our best seller is definitely our Original Unicorn Brushes™, however our Unicorn Lashes are really becoming popular, particular Majestic AF, which is a new influencer favourite I’m seeing everywhere and what’s nice is it’s not paid for ads, the bloggers just genuinely love our lashes. I love all our brushes as they suit so many different personalities it’s so hard to choose a favourite. We do have a secret collection launching next year that I think may be my new faves but I can’t say anything yet, sorry Cameron. I can say they WON’T be unicorn handles. CT: Do you have a favourite style of lashes and a favourite set of brushes? MB: My personal favourite Lash I wear all the time is Flammie in our dragon lashes, as its great for a hooded eye and night time glam. As someone with hooded eyes myself it was important to me to cater to this eye type and all others. We have on each product page a helpful pictogram to show if that lash will suit your eye shape. Favourite brushes, you’re going to force me to pick aren’t you Cameron haha, it would be Sassy Doll, it’s just so girlie and pink and you can never have too much pink. CT: You have a big social following with loyal customers, how did you generate this online family so quickly? MB: I was just myself, I didn’t do this to gain a large following, it was a hobby and passion and I never in a million years dreamt this would happen. I still pinch myself. I was very lucky that when I launched the brushes in 2016 we gained tens of thousands of followers each week and had mass magazine and online coverage. It started there and just carried on. I’m very grateful. CT: Which celebrities are fans of Unicorn Cosmetics? Is there anyone who’s used the brand that you’ve been awe-struck by when you found out? 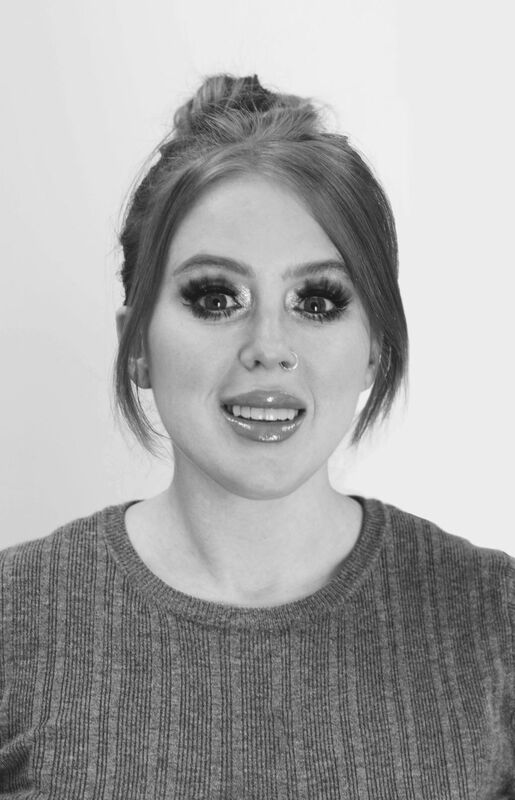 MB: For sure, Little Mix used our lashes on their tour in 2017, and Perrie is a big fan of our Raven Lashes, using them in the video ‘Shout of to my Ex’. Charlotte Crosby actually snapchatted a picture of our lash box back in 2016 just because she loved them when her MUA used our lashes. A lot of Celebs reach out to us asking for lashes, that happened with Chloe from Geordie Shore, Jess Wright from TOWIE to name a few. CT” What’s been the biggest learning curve since launching Unicorn Cosmetics? MB: Be careful who your trust and surround yourself with, I have learnt some strong lessons this year, unfortunately lost friends along the way who weren’t real friends, but we have got through it and I really feel like the future is looking great. CT: What would be your advice to someone starting out in the industry? MB: Don’t private label products and do something for a quick buck, research and find your niche in your chosen market, bringing out something unique to your audience that isn’t just a cheap copy from china in the long term has amazing return and longevity. Do you and don’t copy anyone else. If you are fake in this industry eventually it will come out, there is a lot of fake people and businesses out there it’s time to let the genuine ones shine through. CT: What’s 2019 looking like for the brand? MB: Amazing, I can’t say much but we are currently in talks with a number of huge retailers around the world so that we can really continue on towards my end goal of playing with the big players, the market is so varied and saturated that you have to push hard to keep successful. But 2019 looks like a big once for us. We also have many new lines coming out and can’t wait for our new eyeshadows, that I have been working on for over a year. This entry was posted in Interviews and tagged Interview, Mel Blue, Unicorn Cosmetics. Bookmark the permalink.